I hate to admit it but I used to yell at Jeff every morning, afternoon and night until I learned he has ADHD and how much it impacts his ability to do things. From reading Jeff’s ADHDkidsrock.com Facebook page, I realize that a lot of parents deal with the same sort of frustrations over day-to-day tasks when they’re parenting a child with ADHD. I thought I’d share some of our experiences. I get it. Things have to get done. And it’s a constant uphill battle for a lot of us parenting children with ADHD. The way we parent is at the core of how our kids get through the rest of their day. So it’s important for me to try to make it as low-stress as possible for myself as well as for Jeff. Basically, the best thing we’ve found is to come up with systems that make it easier to stay on-track. Systems are best when they’re easy for the parent and fun for the kid. Getting Organized Together: How we handle getting through the day much better now. Jeff and I have come up with some systems together, based on what kind of support he needs to get to school on time and to stay on top of his needs. 1. I help structure the morning, covering some of the important bases so Jeff knows what he can count on. For instance, I’m the one getting Jeff up by a certain time, making sure he’s eaten by a certain time, and getting him out the door at a certain time. 2. I make breakfast for my two high-school boys even though they are capable of doing it themselves. Protein breakfasts help them have a better day. I believe it’s also teaching them to start their days off strong. 3. We have big posters everywhere to remind Jeff to take his pill, brush his teeth, and not leave things on the floor… it helps, it’s not perfect. 5. Take care of myself. 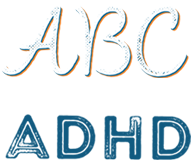 It’s not always easy to parent a child with ADHD and I’m grateful for my friends and the time I take to pursue my own interests or to relax and de-stress. I realize that if our kids had any other medical condition, we’d find it easy to be more compassionate and helpful as parents. I try to bring this into how I parent my child with ADHD. I used to think Jeff was just being a brat, now I know for sure after learning about ADHD that it’s just the way he is wired. Getting everything together every day may be a challenge but Jeff is great at other things — and to his Dad & I, he’s just perfect. Jeff has had so many struggles outside the home because people don’t understand his behaviour. His Dad and I realize we need him to be strong and supportive at home so he has a place and people he can always count on. It’s helped that we’re all on the same page in terms of our understanding his needs — fortunately, his Dad and I have both been involved in learning about ADHD and discussing it with doctors as well as with Jeff. I’d love to know what struggles & victories other parents of kids with ADHD are having. Let’s chat over Facebook! Ps. I was serious when I mentioned that sometimes Jeff just needs help finding his shoes. 🙂 Such a big frustration! Check out the discussion that happened when he shared this on Facebook! Post by ADHD kids rock.